After Starlet and Tangerine, Sean Baker has only shown himself to be one of the most intriguing voices of his own generation. 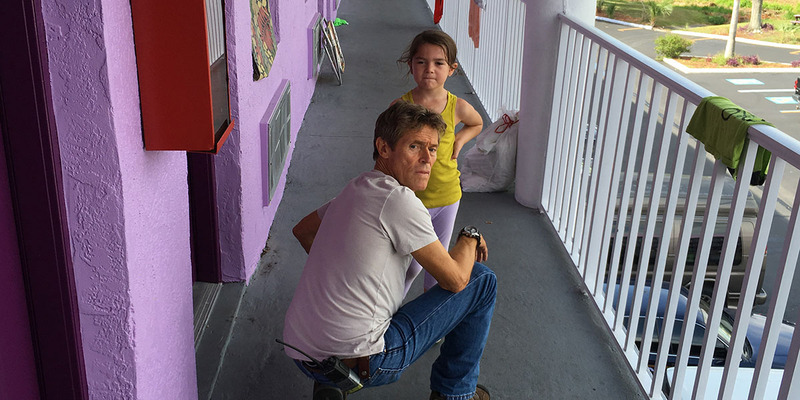 Knowing virtually nothing about The Florida Project other than the fact he was directing it, along with the casting of Willem Dafoe only got me all the more excited to see it and quickly enough I was swept away by the experience. But to say the least, The Florida Project was a film that hit home more than I would have expected, blending the childhood wonder with the harsh nature of the adult world – creating a beautiful portrait of an Americana lifestyle. But within how small it is it still speaks much greater volumes, something that Sean Baker has already proven with his previous directorial efforts. This film centers around a six-year-old girl named Moonee, who lives together with her mother inside of a motel community. Structured in an episodic manner, what Sean Baker is capturing in The Florida Project isn’t limited to children finding joy at a young point of their lives but also an intimate portrait of poverty, yet never is the topic hackneyed for the sake of sentimentality and instead it’s the authenticity that quickly made for an immensely moving experience. Moving in the sense that you aren’t watching actors telling a story on the screen but actual wonder happening right in front of your own eyes, because everything is taking place up close. Considering the fact Sean Baker had shot Tangerine entirely with iPhones, to see what he captures in The Florida Projectthrough the use of 35mm only forms something no less than astonishing. The vibrancy of the cinematography had presented the lifestyle as a fairy tale, only the perfect environment for a film based around children only trying to find the best from their curiosity. It celebrates the very feeling of being young, among many of its most wonderful aspects, but it also highlights the difficulties of such living conditions and thus allows the film’s atmosphere to feel much more authentic – if anything could better reflect how Sean Baker speaks at great lengths through ideas that seem so small. I’m not even sure how to describe the performances all across the board, especially from the children. I already find it easy enough to talk about Willem Dafoe because his role as the kind-hearted manager of the Magic Castle Motel Bobby because he was great as expected, but these child actors among many of the first-time actors in the film were the standouts. Bria Vinaite, who was found off Instagram by Sean Baker, played a sleazy mother figure and yet it was always easy to sympathize with her own personal struggle because you recognized that she wants the best for her daughter, the standout performance from the whole bunch. Brooklynn Prince, as Moonee, had simply blown me away for her character embraced was where the film’s soul had lied, she wasn’t a performer anymore, she was a child whose curiosity had only been growing in front of our eyes. Yet the heart of The Florida Project can be felt in how it still tries to maintain an optimistic outlook on life, no matter how one’s lifestyle struggles at the face of any danger – but it’s how Sean Baker directed and co-wrote the film as if he were any other observer in the background that only made The Florida Project feel so fresh right in front of our eyes. It’s a film about curiosity and what it grows to become, but at the same time the cost of which it must also be earned. To say the very least, it was the matter in which it felt so immersed within the Americana background to become one of the best portraits of such in the decade, only going to further show Sean Baker’s remarkable talent behind the camera. I would only have ever expected after Tangerine that Baker would indeed have given away yet another minimalistic yet captivating experience, but not something that spoke to the lengths that this had done so. 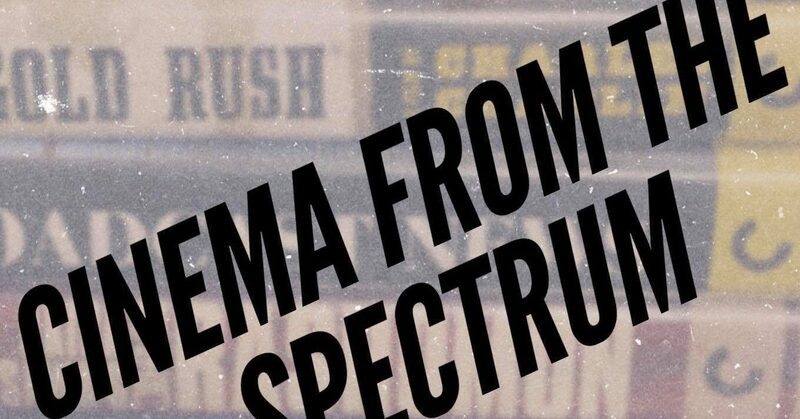 It’s a film about childhood wonder, yet not exactly a nostalgic one – it’s a film that brings oneself into their own world but also sheds light on what puts them at risk. It’s the fact that it feels just like you’re watching something grow right in front of your own eyes you can only wish to see everything from first hand, because it’s clear enough Sean Baker is inviting his audiences to experience everything in The Florida Project in such a manner.